Remember Officer William Figueroa, the pepper-spraying cop? 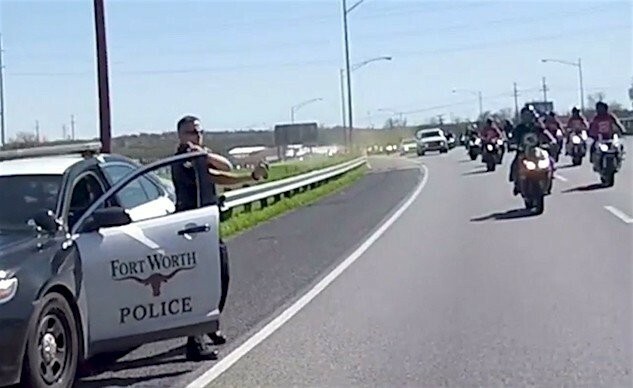 If you need a reminder click here: Why Is This Cop Macing Motorcyclists?, and here: Pepper Spraying Texan Cop’s Excuse Is Complete BS. The internal investigation into Officer Jerk has concluded, with any punishment being left to the discretion of his superior officers (uh, sure). For now, it appears that deploying pepper spray into the path of approaching motorcyclists is an acceptable practice in Texas. Another reason in a long list of reasons to stay the hell away from Texas.